When it comes to volume, Bluzat believes balance is key - they play with proportions in a way that makes a statement but doesn't look overdone. 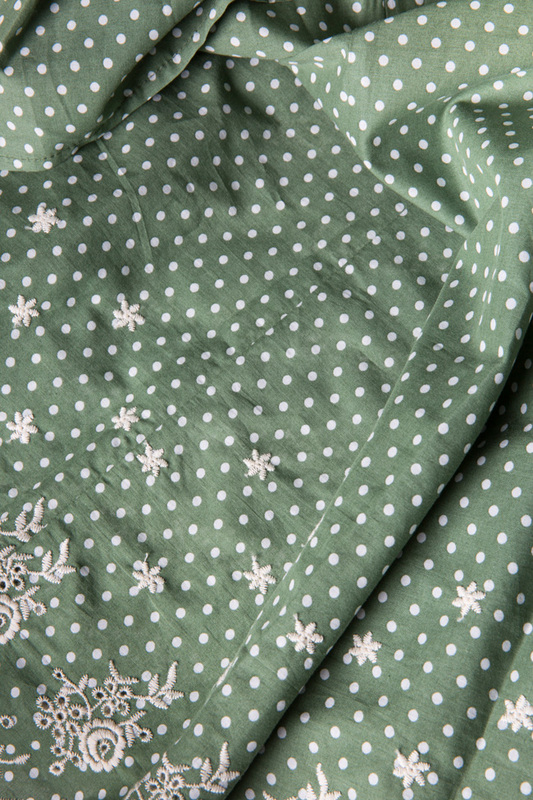 Made from green cotton-poplin, this dress is patterned with black polka-dots and detailed with ruffles. Cinch your waist with the pretty velvet bow ties.